Britain has more openly gay MPs than any other country, by @bspeed8. 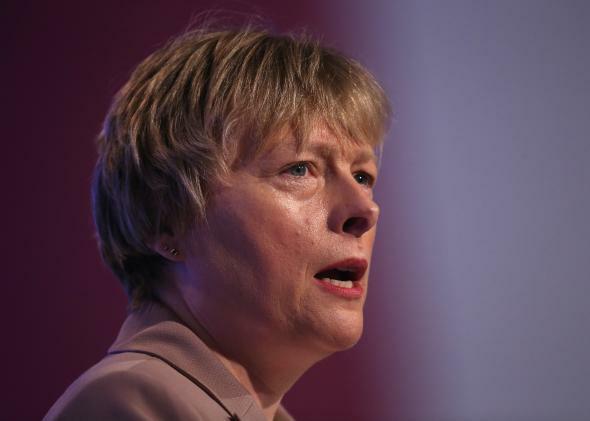 Labour’s Angela Eagle was Britain’s first lesbian MP to enter into a civil partnership while serving in the House of Commons. But while the country now has the least progressive government it’s seen since the early ’90s, there are a few sources of liberal glee: Britain now has 191 female MPs, more than ever before, and the number of black and ethnic minority legislators increased from 27 to 43. Oh, and somehow, fusty old Britain now holds the world record for LGBTQ political representation. Of course, collecting statistics on LGBT political representation isn’t easy, and that record is really for out legislators. We’ll never know if closeted or undeclared LGBTQ representation is higher in another country where candidates feel less able to state their sexual preference in public, or if Britain had its best election for queer candidates half a century ago. Estimates of the proportion of LGBTQ people in the U.K. population vary wildly, from the 1.5 percent quoted by the Office of National Statistics to the 5 to 7 percent generally used by the government. Based on these figures, the House of Commons may reflect the nation as a whole. In fact, it may be more representative when it comes to queer MPs than females—women still make up less than 30 percent of the House of Commons. Reynolds spent part of the British election campaign out on the doorsteps with LGBT candidates, and he reports that in most cases the candidate’s gender identity or sexual orientation was of “little consequence” to the average voter. This was borne out in polling booths: Queer candidates tended to match or do better than their party’s overall performance, even when, as in one London constituency, a homophobic smear campaign was reportedly used to try to turn Orthodox Jewish voters away from an openly gay candidate. The four out transgender candidates (including Emily Brothers, the Labour Party’s first), all outperformed their parties. But it’s not all good news. The Conservatives’ new culture secretary and minister for women and equalities both voted against marriage equality in 2013. (Luckily, the bill passed without their help.) And the new cohort of out MPs isn’t particularly diverse: All 29, and all but two of the 150-odd LGBTQ candidates who ran, are white. Only four of the out MPs are women, and the House of Commons still lacks transgender representation. So while the United Kingdom only really holds the record for LGBTQ MPs willing to make themselves known, it still says great things about Britons’ attitudes to LGBTQ people. It seems the U.K. electorate cares far more about its trash collection, health service, and perhaps even foxhunting than about its MPs’ sexuality. Which is, of course, exactly how it should be.